Last year I celebrated April Fool's Day on the blog by posting April Fool's Surprise Cookies. The surprise being a hidden chocolate center inside of each seemingly plain vanilla cookie. I know, super exciting, surprising stuff. But you know how I'm celebrating April Fool's Day this year? I'm not. SURPRISE!!!! I'm doing nothing for April Fool's on the blog this year. We're continuing on with our regularly scheduled posts. That's the surprise - that there's no surprise. Get it?? So, let's talk about today's regular, non-April-Fool's-Day-inspired post. Today's post is about a trend. 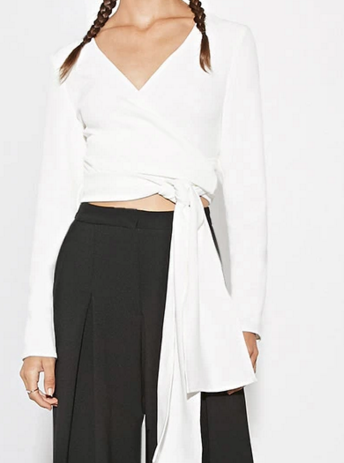 A white shirt trend. But not regular white shirts. Different kinds of white shirts. Unique white shirts. 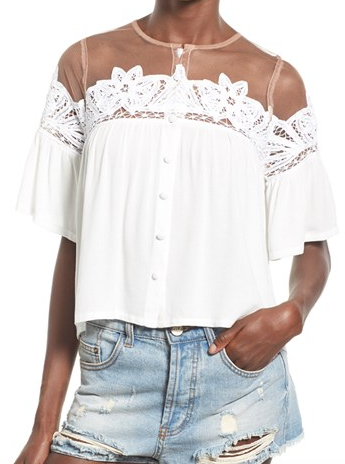 Because those were the types of white shirts seen all over the Spring 2016 runways. Interesting, unusual, unconventional white shirts. 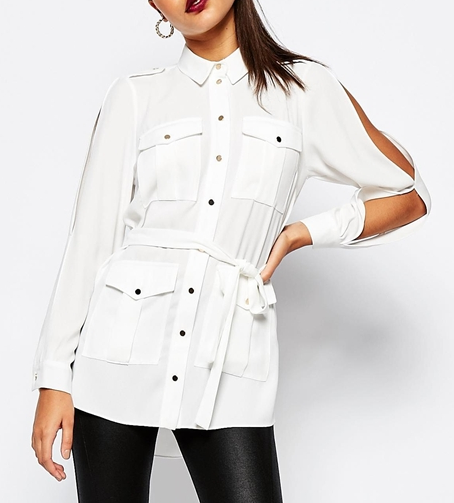 Peasant blouses, oversized button downs, belts and tie ups and ruffles and bell sleeves and lace and off the shoulder styles are featured amongst the 40 white shirts above. Each shirt is unlike the next. Because that's the point. That's the trend. Unique white shirts.